Most users expect the commercial parking lot to provide an easy to follow path to parking slots, no obstructive views, smooth even ride, safety equipment (lights and cameras), clean and dry. If users feel unsafe in a parking lot, they’ll move on to a business competitor that appears to have more regard for their safety. Women especially will look for safety in parking and they do the majority of shopping. When parking lots have inadequate lighting or confusing signage, personal injury claims could result. 20% of all personal injury lawsuits have their beginnings in parking lots. An experienced commercial paver like Seattle WA can be helpful in steering you clear of any conflicts. We also install concrete components of the commercial parking lot, such as sidewalks, curbs, speed bumps and storm drains or culverts. No need to coordinate with another company because we own all of the equipment necessary to build a parking lot. Also, our equipment, we have thousands invested, undergoes routine maintenance. No worries over our equipment breaking down and destroying your schedule. Parking lots have been described as a sea of blackness but can you imagine commercial congress without them? Our lives are supported and enriched by the use of cars- we need parking lots to bring ease to parking our cars in front of a business or service provider. Property owners want a parking lot that functions with pedestrian safety in mind yet still retains the maximum number of parking slots that can be conveniently accessed by its users. Seattle WA has been building parking lots for years and are familiar with general guidelines of how to build parking lots that are at the same time convenient for users to use yet carry, the maximum number of parking slots. Build the parking lot as a set of rectangles. Face the parking stalls parallel to the building to prevent cars from crashing into them. Place parking stalls around the perimeter. ​The most damaging element to an asphalt parking lot is water. When it puddles on top of the pavement, it slowly erodes the binder or glue that holds the small bits of gravel together. But, when it seeps underneath the pavement, the subbase is weakened till it collapses resulting in pavement depressions or potholes. 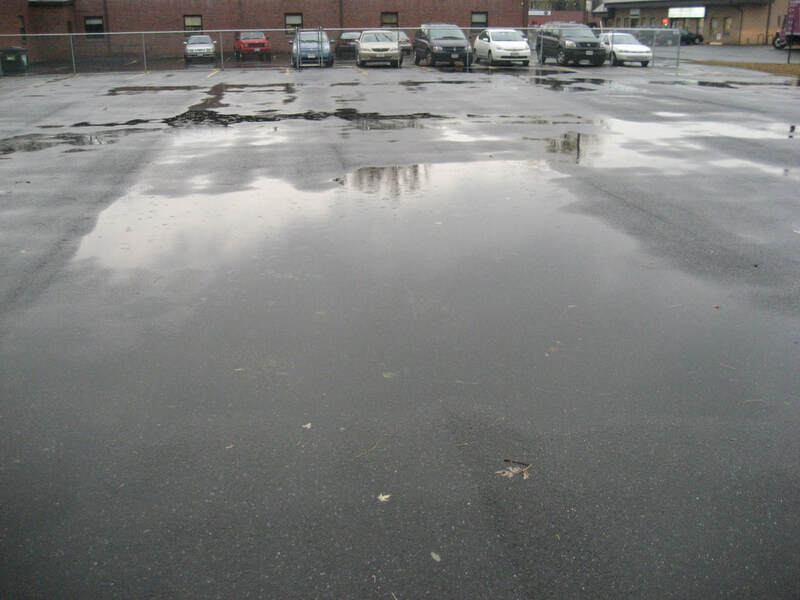 Responsible Commercial Paving companies will check to make sure water is running away from the parking lot they inspect and advise clients of any drainage issue. Just paving over a broken parking lot with drainage issues will not last long- soon the same cracks and depressions will again appear. It is more cost effective to deal with the underlaying problems causing the pavement to breakup than making repairs every year. Light Grey pavement or fading color is the natural ageing of pavement as it weathers over the years. If left untreated, the pavement’s surface will become brittle and show more cracking with the passing seasons. A simple fix is to fill the cracks and then apply a seal coat. ​The above pavement failings are examples of types of pavement distress that we can repair quickly without blocking off the entire parking lot. We can work on a small section at a time, and have no problem working on weekends (rainy weather in Seattle forces us to be very flexible). ​A parking lot that has faded to grey- yet its subbase remains in strong and stable condition can be resurfaced to a like new condition. Resurfacing means grinding or slicing up the old surface to make the existing pavement level then a new layer of asphalt is installed over the pavement. Finally, finishing with new pavement striping or marking will make the parking lot look like new. The newly resurfaced parking lot can last 15 to 20 years. The best possible fix for an ageing parking lot would be a resurfacing because it is less expensive than a full tear out and reconstruction and is implemented quickly. Resurfacing brings the parking lot into a like new condition. It is an attractive option for business owners trying to upgrade their image or brand. Sealcoating your asphalt parking lot will fill surface cracks and reduce exposure to UV rays. Also, at the same time, repelling oil and gas (kind of a waterproofing). This should be done every 2 to 3 years to encourage the pavement to reach a long lifespan. Sealcoating will fill and smooth a rough porous pavement into a like new surface that will repel water, oil dirt and gas allowing it to be swept away with the next wash. Periodic sealcoating can increase the lifespan of your parking lot to almost double its original one. ​Parking lots concrete curbs are good for many things, such as helping to keep water from the asphalt base, giving a visual end to the parking lot and keeping people from parking where they’re not supposed too. Concrete is stronger and longer lived than asphalt which helps especially at the edges of asphalt where it’s weaker. Seattle WA Paving has an advantage over its competitors- we can build all the concrete forms needed for the asphalt parking lot. 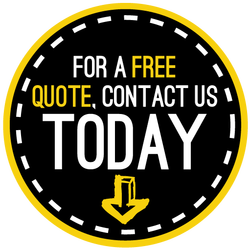 This provides our clients with a friendlier price for both services as well as fewer contractors to manage and schedule around.